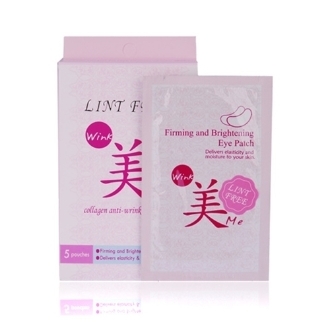 The Wink Me collagen (lint free) eye patches are used during the eyelash extension process for client's comfort. Wink Me Eye patches stimulate the skin's collagen to brighten the skin under the eye during the eyelash extension treatment. Directions: place under the eye for 1-2 hours during the eyelash extension treatment.